The Answer To Excellence In Auto Body Repair! Most people never imagine getting into an auto accident, but inevitably it happens. What they don’t realize is that insurance companies have started telling people where to get their vehicle repaired. It’s called “Steering” and according to state law its “illegal”. An insurance company can suggest a shop but it’s against the law for them to tell you, that you have to take it there. Only the owner of the vehicle has the authority to decide where it’s repaired. It may not be in your best interest to take vehicles to the same shop the insurance company has contracted with and then directs you to. 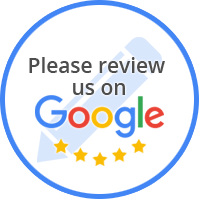 Here at Lintz Collision & Refinish our business is based on reputation and quality. We work with ALL insurance companies and our work has a lifetime guarantee. As long as you own your vehicle we will stand behind our work. Remember it’s your vehicle, it’s your choice.